The black beauty business is a big deal – culturally and economically. On this episode we talk openly about diversity, discrimination and quality control in the black beauty and cosmetics industry. The average British woman spends £1,352 a year on beauty (skincare, hair care and cosmetics), however, the black British woman is estimated to spend a whopping x6 more than this average. Creating a huge commercial opportunity for a demographic that has been largely ignored by much of the mainstream beauty market. The exclusion of black women within the wider beauty conversation has resulted in many black women not understanding their needs and the availability of products and services to meet them. In 2010, the boom in blogging made black communities recognise how far and wide their digital voice can go, fuelling the activity and commodification of black specific events, brands and other interventions. Today, in 2017, whilst I believe we’ve come a long way, there’s still a lot we don’t understand, about the beauty business, and even ourselves as black consumers. One of the questions I ask in this episode is are black brands are dying in the U.K (and Europe)? As despite the growth of opportunity, the ability to meet the needs of black women still feels futile, especially when delivered by black cosmetic brands. I also ask how true is it that 'black Don’t Crack'? and how does our acceptances of this notion affect our attitudes to skincare and sun damage prevention? Lastly, I had to address the rise and plummet of the Afro Hair and Beauty Show, better described as ‘the show we love to hate’ and which, honestly, is seen as an embarrassment to black beauty and the industry as a whole, but still remains the largest and most widely attended Afro trade show in Europe. On this episode is the Beauty Bunch, a formation of bloggers, PR experts, brand specialists, market researchers and beauty brand owners. We have a Whatsapp group and often come together on a Sunday at 8pm on Twitter to talk about beauty under the hashtag #BBT (an abbreviation of Brown Beauty Talk). You can read more about us below. Agnes Cazin, a consultant in the beauty and fashion industry and creative director and producer at her self-owned agency Haiti73. As I type this, Agnes is consulting at the Natural Hair Academy and just finished a production with Melariche at the Afro Hair and Beauty Show. She has a wealth of experience matching beauty brands with bloggers. Jo is the purple obsessed beauty blogger behind Patent Purple Life. She has reviewed over 1,000 skincare, hair care and makeup products from high street to luxe and everything in between. Jo’s scientific background gives her and in depth understanding of ingredients and formulas . She combines this incisive knowledge of brands and an altogether refreshing dash of honesty and wit. Segun is a Beauty Insider, Writer and Blogger at both Lotions Potions and Me and Huffington Post – where she shares her musings on beauty, skincare, wellbeing, skin-foods, and pigmentation solutions. Having worked in the beauty industry for a number of years and struggled with blemishes and pigmentation challenges for 15 years, she is passionate about highlighting beauty and skincare solutions that truly work. A Branding and PR strategist, Segun is also the founder of Rose and Clover, a PR, Branding and Business Consultancy for beauty, wellbeing and lifestyle businesses. With over 15 years in journalism and marketing, Ronke Adeyemi has worked for a wide variety of companies in the B2B and B2C sector. She is a digital marketer who has proven success of implementing and strategic planning of branding and merchandising projects. She also has a real passion for Social Media platforms which she utilises to spread awareness about the brands she has worked with. 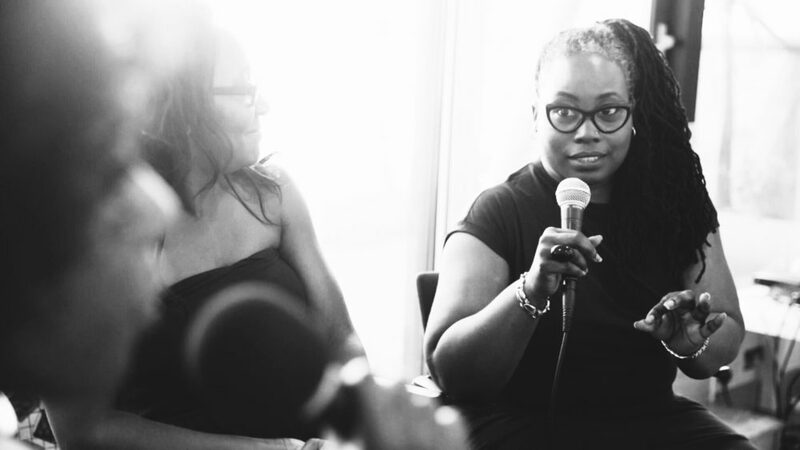 Ronke set up the brownbeauty discussion in June 2013 as a forum where Women of Colour (WoC) could discuss beauty issues that affect them. This appellation sums up the essence of Natalie’s outlook as a cosmopolitan, British born Woman of Colour. Frustrated with the lack of positive representations of Black, Asian and women of a mixed heritage in the British beauty market and mainstream media – she established this blog BeautypulseLONDON to fill this void. She is a champion and a voice for the Black woman and has leveraged the power of social media to spread her much needed message: Black women are beautiful and make an invaluable contribution to British society that needs to recognised and celebrated.